The Earth is a vastly fascinating place! You may think of rocks and trees and animals as familiar things, but they are often as unknown and otherworldly as specimens from Mars. 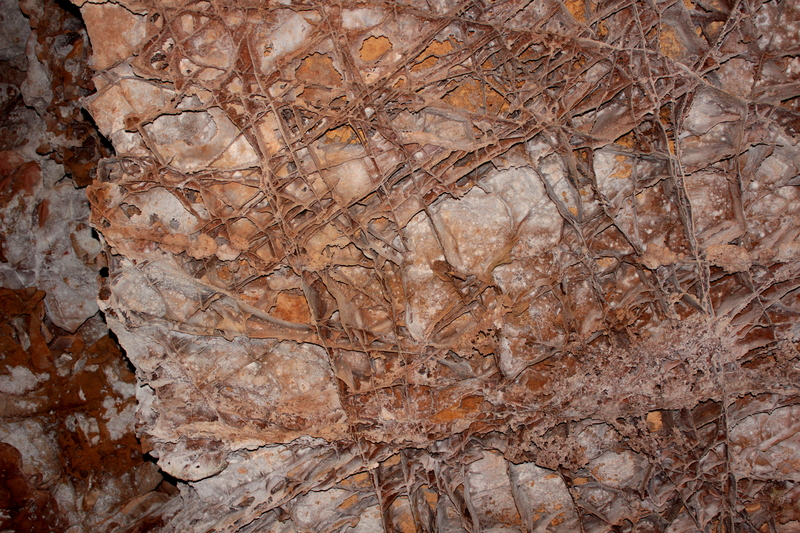 Here’s an example of a cave formation in Wind Cave National Park known as “boxwork”. Could be the surface of a distant planet, don’t you think? Could these be aerial photos of alien landscapes? Or the skins and bodies of alien life forms? Does this structure look like something you’ve seen before? This one could be a satellite image of life on a distant moon. The startling discovery of unfamiliar living things is possible in your own back yard. Go take a look! This entry was posted in Nature, Photography, Uncategorized and tagged caterpillar, nature photography, Out of this world, photography, trees, Wind Cave National Park, WordPress Weekly Photo Challenge. Bookmark the permalink. Great pics for this challenge. I really like the “Mono Redwood” photo. Thanks, Jeff! You know I’m a big fan of all your beautiful landscapes and waterscapes. Enjoy the coming of Spring in New Hampshire! All in due time…no rush. Enjoy it all! I’m enjoying the return of sandhill cranes and redwing blackbirds to my yard. Wonderful textures in these macro-photos. Loved it. No pinecone in this batch. Turkey feathers, though. Thanks for your visit, Stephanie! And iridescent! From a distance, they look “brown” all over, but they are really such varied colors. This close-up was made possible by a stuffed specimen at the Univ. of Wisconsin Arboretum. Wonderful selection of images for this challenge, Scilla! Thanks for sharing. You’re welcome, Sue. Really enjoyed the orchids you shared, too.